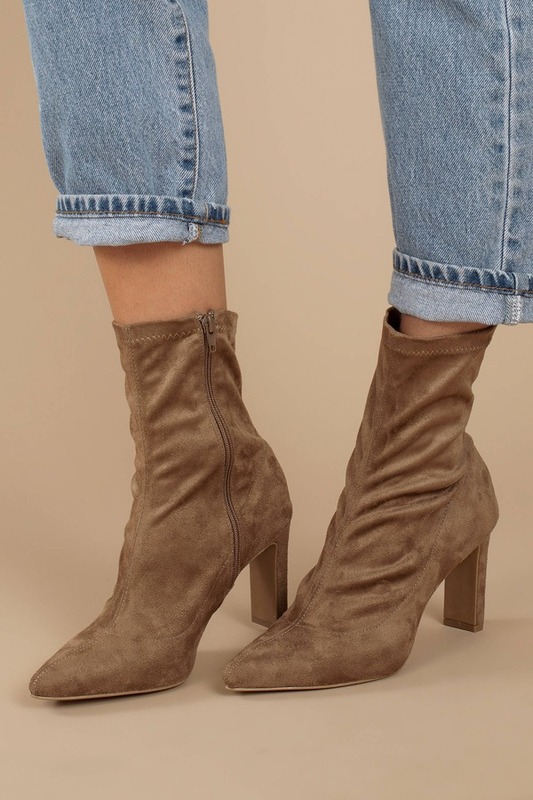 Check out Tobi's Sara Faux Suede High Heel Booties Let these booties point you in the right direction. 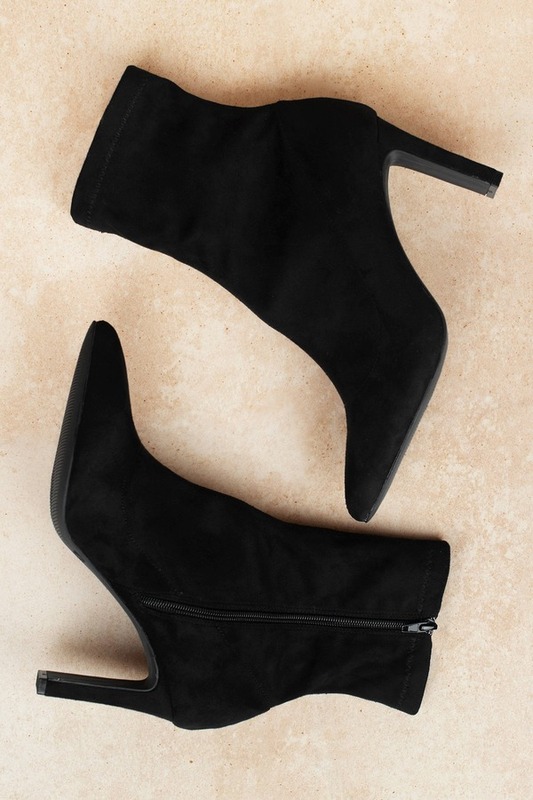 The Sara Faux Suede High Heel Black Booties will elevate any outfit. 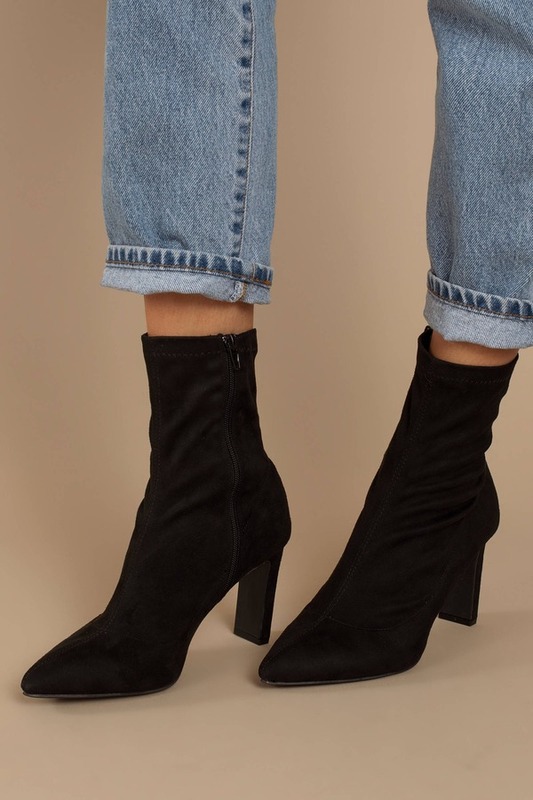 Featuring a pointed toe, side zip up detail, and a comfortable fit, these mid calf boots will look especially fab with rolled up jeans or a mini skirt.